The Archaea are one of the three domains of life. They share many characteristics with the other two Bacteria and Eukarya, however are evolutionarily distinct from them. 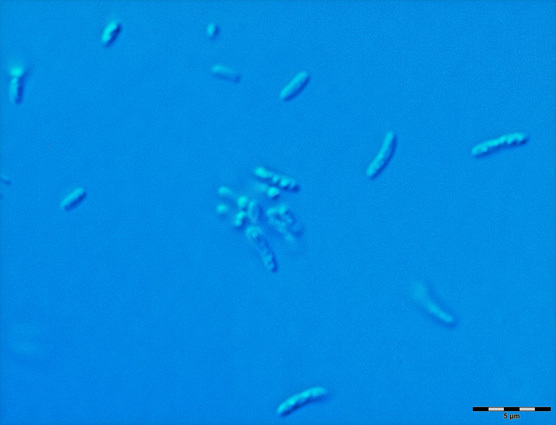 The following images are of Halobacterium obtained from a hypersaline salt lake on the York Penninsula in South Australia with salinity levels several times that of sea water. 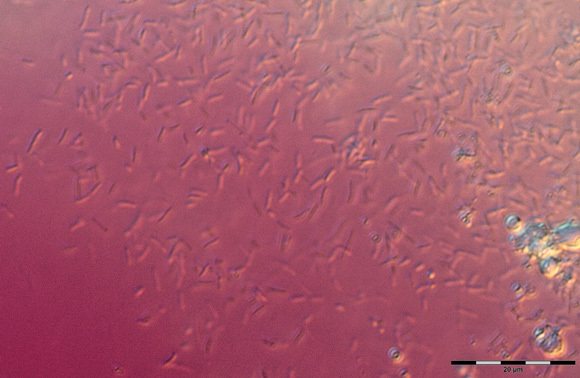 Halobacteria are small bacilli approximately 1×5 microns. The lake only holds water after rain, usually in winter months at other times it is a dry salt crust lake. 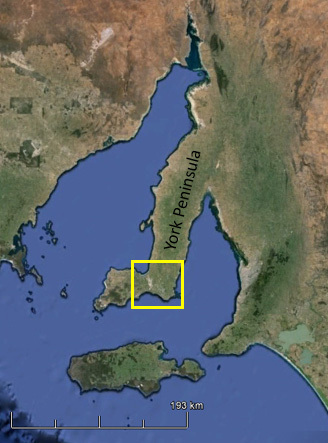 These lakes are all inland, see satellite images, and their salt mainly derives from airborne salt from sea spray carried inland on prevailing winds over thousands of years. Historically these salt lakes were harvested and transported by ship to Adelaide, South Australia’s capital. This industry ceased in the late 1970’s. Holobacteria colour the saline water pink to red and purple due to carotenoids and other pigments including Bacteriorhodopsin. 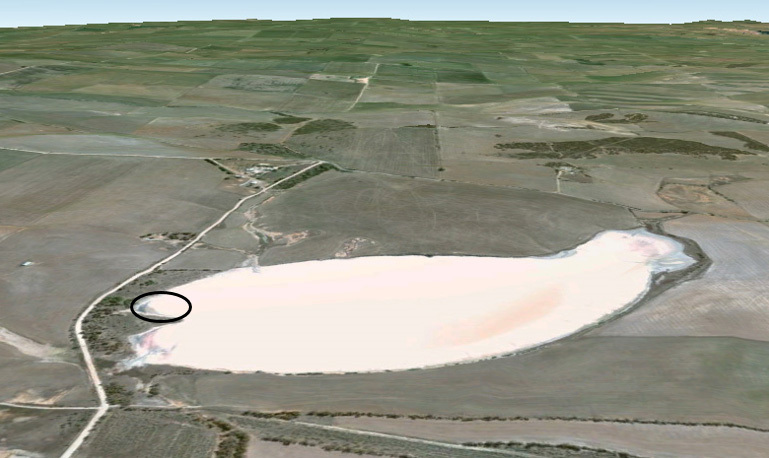 PLATE 1: Google Earth image with Area of Interest outlined, Lake 1 is in the NE corner of the box. PLATE 2: Google Earth image of Salt Lake 1 collection site. In this image the lake is dry. PLATE 1: Halobacteria, the pink colour in this image derives from the microscope DIC setting not the bacteria. PLATE 4: Halobacteria showing the small (0.35µ) nucleoids and pigment inclusions. Previous Post Marine Protists and Prokaryotes of Salt Swamp Creek.